This handsome Superior Shed was recently installed for a customer based in Rickmansworth, Hertfordshire. Designed and hand-built to order at our Norfolk factory, the FSC® certified timber Garden Shed was also delivered and assembled at the customer’s specified address by our in-house installations team. 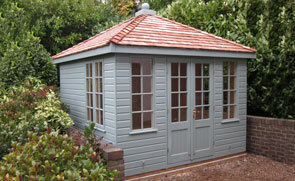 This attractive Blakeney Summerhouse was recently installed for a customer based in St Albans, Hertfordshire. Measuring 2.4 x 2.4m, the building was designed and hand-built at our factory in Norfolk before being both delivered and installed by our in-house, expert fitting team. This 12 x 14 Salthouse Studio was installed for use as an art studio in St Albans, Hertfordshire. 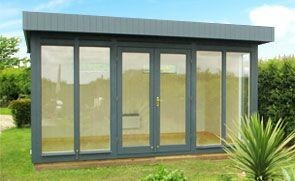 Each of our Garden Studios includes free delivery and installation, together with full wall, floor and roof insulation as standard. 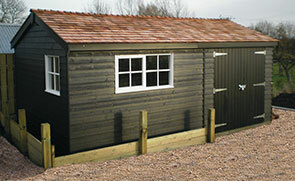 This 2.4 x 5.4 Superior Shed was recently installed for a customer based in Welwyn Garden City, Hertsfordshire. The cedar shingles on the apex roof and traditional light oak preservative make for an attractive building that the customer wanted to use as both a storage shed and workshop. 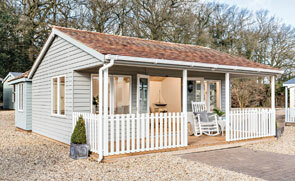 This charming 3.0 x 3.0m Wiveton Summerhouse was recently installed for a customer in Hadlett, Hertfordshire. The distinctive octagonal roof is coated with cedar shingles for a charming look, and the FSC® certified timber shiplap exterior is painted with our Valtti paint colour Sage.